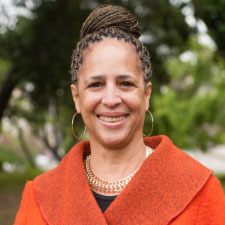 Robbin Gaines is a senior program officer with CHCF’s Market Analysis and Insight team, which promotes greater transparency and accountability in California’s health care system. She manages projects centered on market trend analysis and health care provider and insurer reporting. Prior to joining CHCF, Robbin did analysis and accounting work. Her previous experience includes work in planning analysis at Sutter Health, accounting and financial analysis at the University of California Office of the President, and accounting at John Muir Health. She also has held several finance and accounting positions outside of health care. Robbin earned a bachelor’s degree in accounting and a master’s degree in business administration, both from the California State University Hayward (now California State University East Bay).